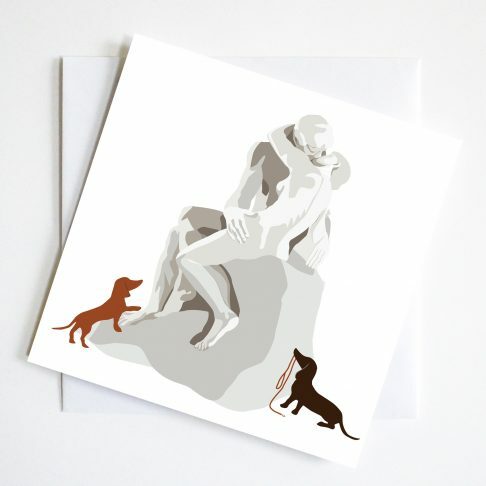 Whistlers Mothers Dog sits gazing up at her well loved profile. 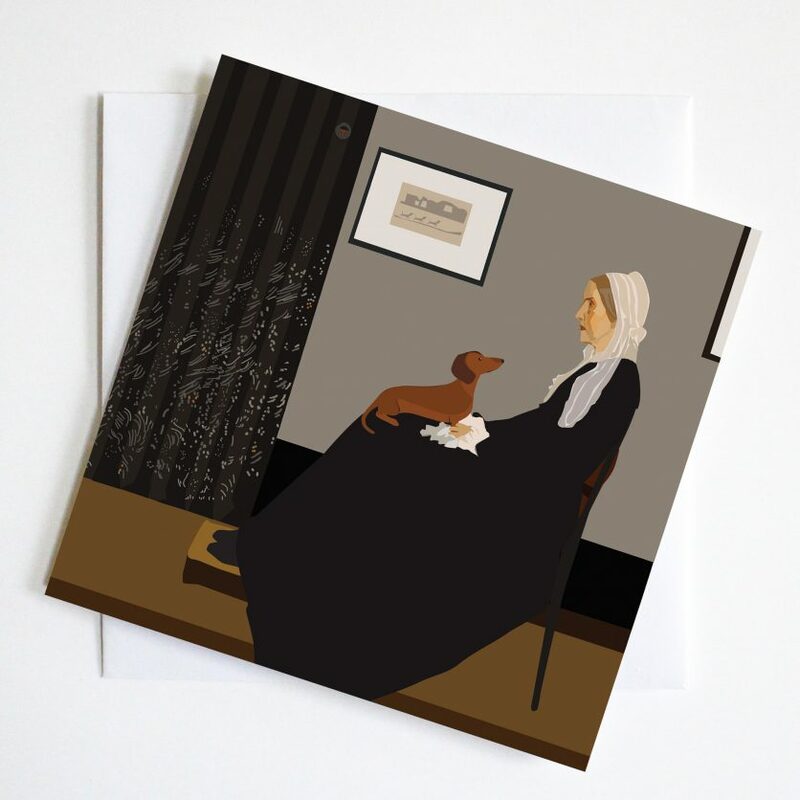 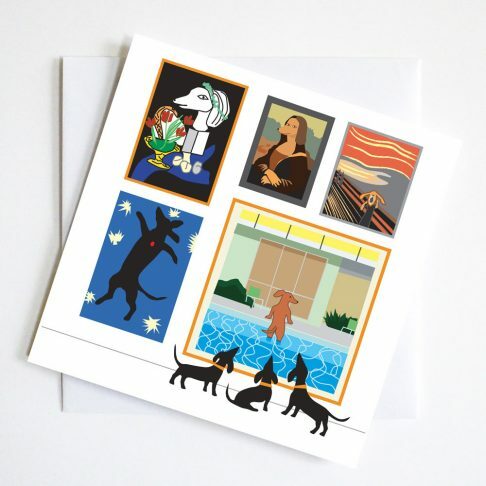 This delightful Dachshund Greetings Card is for all dachshund lovers which pays humorous homage to this well loved painting. 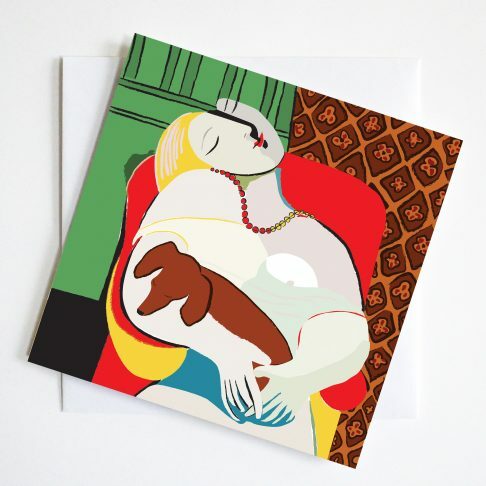 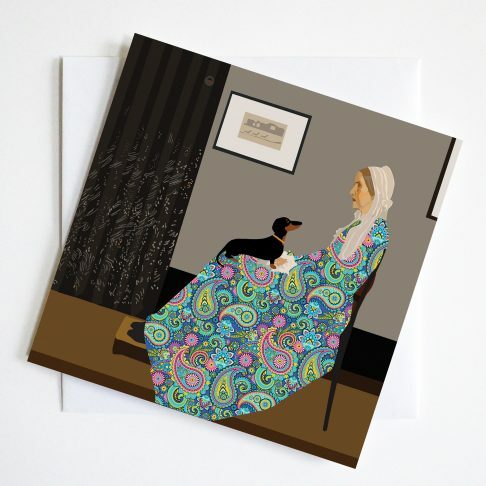 Whistlers Mother with her new best friend her Dachshund sitting on her knee.